The Providence Children's Film Festival seeks to give families in the region the opportunity to see a rich collection of international and/or independent films, including award-winning animation, features and documentaries. 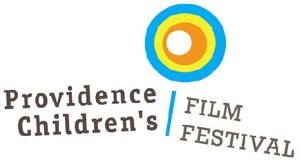 The 9th annual Providence Children’s Film Festival takes place February 15-28, 2019 at main venues within walking distance of downtown Providence and at satellite venues across Rhode Island—bringing a world of film to even more Rhode Island youth and families—with over ten days of screenings, filmmaking workshops, and free activities, along with post-film presentations that help deepen the film-watching experience. During the Festival, PCFF screens an average of 16 feature-length and 75 short films—including live-action, documentary, and animation—made by filmmakers from around the world. Films are selected for their compelling stories with a global perspective that challenge young audiences to better understand the world. Films are selected for their compelling stories with a global perspective that challenge young audiences to better understand the world. PCFF believes in providing enriching shared film opportunities for youth from an early age, inspiring and cultivating a new generation of filmmakers, storytellers, and engaged citizens. PCFF offers filmmaking workshops for children ages 6 to 14 on the weekend of February 10th and 11th. In addition, PCFF hosts a juried Youth Filmmaker Showcase (February 25 & 26) during the Festival to nurture and promote the work of young filmmakers from around the world.